One year ago, Father Gerard Jean-Juste, who was like an adoptive father to me for many years, passed away after a courageous fight with leukemia. I'm happy anytime I can write down some wise words he used to say to me and other boys who lived in the Sainte Claire’s parish atop a hill in the community of Ti Plas Kazo (Petite Place Cazeau). I am honoured to have been part of this great man’s life, one of the icons of Haiti’s struggle. I lived with him since1997 as his right-hand altar boy until his lovely father, the Almighty God, called him on May 27th, 2009 at Jackson Memorial Hospital in Miami, Florida. We had a show on Radio Ginen called, Ginen Dizyem (Ginen Tenth) where Haitians who live overseas could call and gave their opinions. Sometimes, Father Gerry (as he was known) asked callers to greet their families wherever they are in Haiti. Through this show, he was able to engage the Haitian public in a way that most radio journalists do not. I helped put on the show. In the last broadcast, he appealed for peace while rebels led by former police chief Guy Philippe,were on a murderous rampage in the Central, North and Artibonite departments. Though Father Jean-Juste was a supporter of former President Jean-Bertrand Aristide, he made sure that, as a follower of Jesus, he spoke the gospel to those who did not share the same political views. Fanaticism did not guide Father Jean-Juste’s life. He was a wise man. As the majority of Haitians believe, Father Jean-Juste believed that Aristide had a positive vision for Haiti, and that it was important to support him. 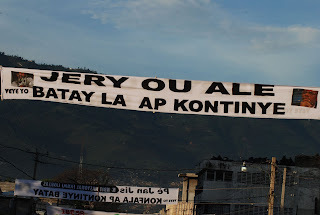 died for a cause that everybody knows: Justice for the victims of repression, equality among the Haitian people, and a better life for the poorest of poor. knew. He was a wonderful spokesman for the Haitian community whether in the United States and Canada. He was the voice of the voiceless. 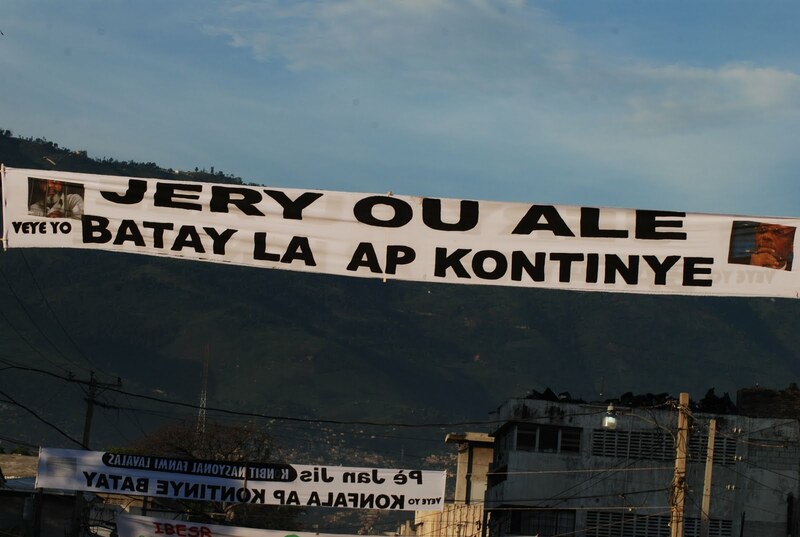 After the 2004 coup d’état when the U.N soldiers (MINUSTAH) were killing people in the popular districts, he was the only Catholic priest to denounce the massacres. He did his best to give the victims a proper burial. The authorities of the Catholic Church did agree with him - and punished him - because most of them supported the coup and were part of the de facto government led by Gerard Latortue. Father Gerry chose to stay in Haiti after the coup of February 29, 2004, despite considerable risk. He was twice imprisoned by the de facto government. Until the very end, he remained faithful to his people and his friends. Father Jean-Juste’s legacy is continued through me and his other close friends like Lavarice Gaudin, and everybody who is dreaming of a better Haiti. If only he were alive today.